Sri Bhadrakali Sametha Veerabhadra Swamy temple in Bonthapally. Bonthapally is 35 km from Hyderabad on Hyderabad-Medak highway and the temple is 3 km away from the highway. 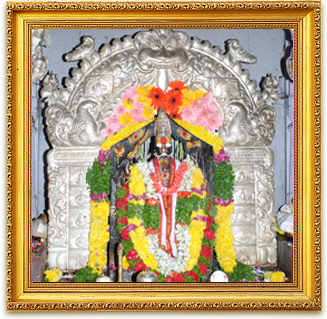 Many people from Hyderabad and all over from Medak visit this temple. Mainly Arya Vaisyas visit this temple. Many people from twin cities and from distant places visit this place and receive the blessings of Lord Veerabhadra. There are facilities available for pilgrims to stay here. APSRTC is running buses to this temple from Secunderabad Jubilee Bus Stand. There is a committee established to look after the temple management. Priests of Jangama and Thambali castes serve the lord here.